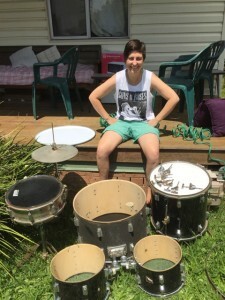 What can you do with an old drum kit that isn’t even worth giving away? 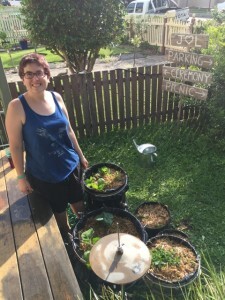 Turn it into a feature garden! 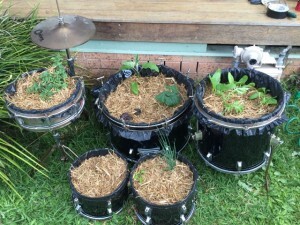 Yes that’s right, my drummer wife and I decided to repurpose an old kit into a Drum Kit Garden! 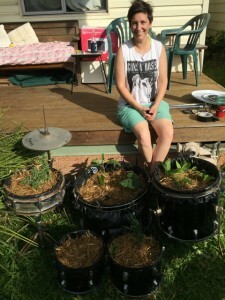 Here are the steps you can follow to do the same for your muso gardener! Gather the kit, remove the hardware. Remove the top skins from all drums. Gather supplies. 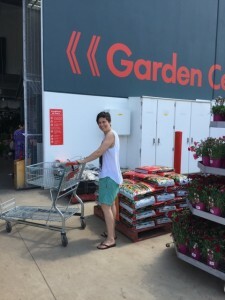 We headed down to our local Bunnings to grab some extra soil and builders plastic. 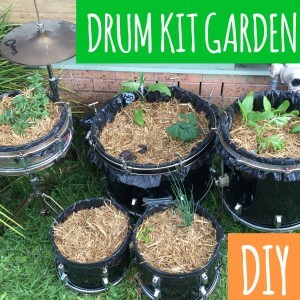 Cover the inside of the drums with at least one layer of builders plastic, bringing the opening in the plastic to the top edge of the drums. 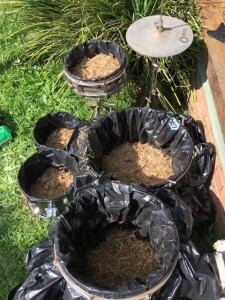 Make sure there is enough plastic inside to have some give when soil is added (put more plastic bunched inside!). 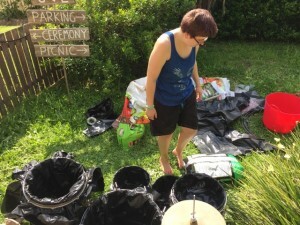 Pierce a hole in the bottom of each drum and plastic to allow some water drainage. 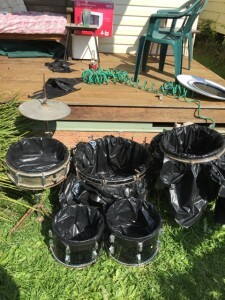 Use drummer (gaffer) tape to attach the top of the plastic to the drums. Put in a layer of sugar cane mulch (or gravel if you prefer). 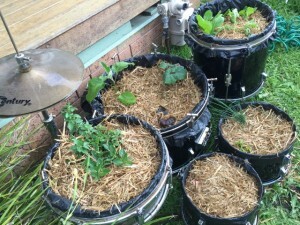 Add your soil and compost in layers until you are at the top of your drums. Add your plants and water. 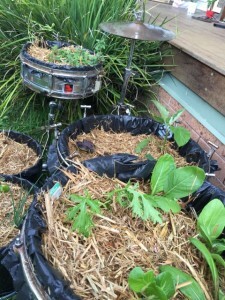 Once well watered, add a layer of sugar cane mulch. 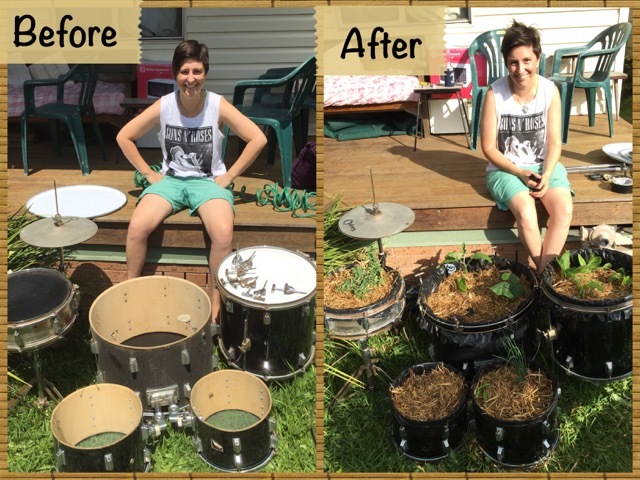 Admire your hard work and enjoy your new drum kit garden !